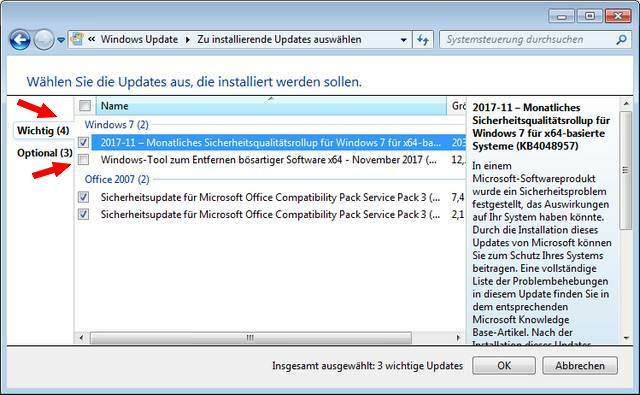 [German]On November 14, 2017 Microsoft ‘celebrated’ Patchday and released a bunch of updates. Some seems to be ‘problem bears’, the Malicious Software Removal Tool (MSRT) for instance. Here is an overview, what I’ve seen so far. Update KB890830 contains Malicious Software Removal Tool (MSRT). The Malicious Software Removal Tool (MSRT) is intended to clean Windows from existing malware during an update installation. Actually a good thing, but MSRT seems to be a nasty beast, see also my blog post Issues with Update KB890830 (Windows Malicious Removal Tool). Update KB890830, released November 14, 2017 has some flaws. I received this German comment, where a user reported error code 0x8024001e. Also here are further comments with issues. Error 0x8024001E stands for WU_E_SERVICE_STOP (Operation did not complete because the service or system was being shut down). In normal cases I would blame third party antivirus products. But it seems, that Microsoft failed again with update KB890830. Update KB890830 is shown in Windows 10 as Windows Malicious Software Removal Tool for Windows Insider Preview and Server Technical Preview x64 – November 2017 (KB890830). MVP colleague Barb Bowman has recognized that too and posted a tweet. Also here is a comment – reporting that MSRT install hangs for an hour at 0 %. Another user reported, that MSRT detected 29337 folders with malicious content. And here a user found in update history, that KB890830 hasn’t been installed. I recognized, that MSRT has been offered in Windows 7 Update als Important, but the checkbox was unchecked. Some reader told me, that the checkbox was previously checked, but changed to unchecked during the day. Did MS become aware of issues? I assume that a wrong code branch was used to build the update, which now causes the trouble. My advice: Hides KB890830 in the updates. Under Windows 10 you can download the instructions from the blog post How to block Windows 10 updates. 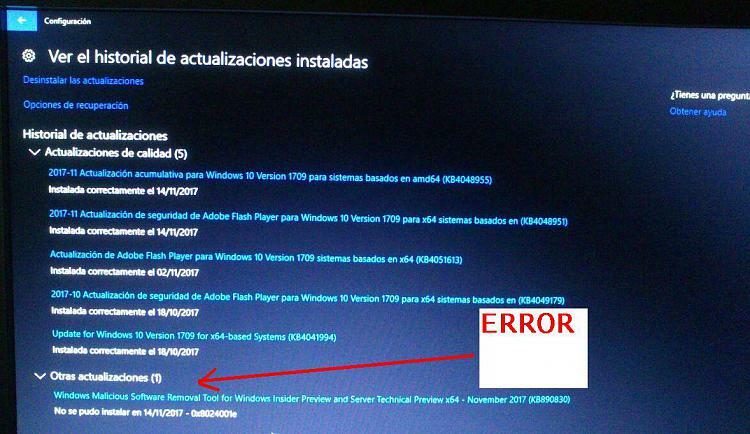 Within this thread a user reported, that several of his Windows 10 systems hangs during first reboot. He received error 0x8024a11a and was forced to manually restart the machines again. This list doesn’t cover this error code, but the group this code belongs to, indicates an AU error. Maybe a driver is causing this issue. A clean boot (see here) could solve this issue (see also my blog post Windows 10: Update error 0x8024a112). HP 3D Drive Guard software is installed on many HP systems. The Drive Guard protects the hard disk of the computer (only applies to notebooks). This monitors the acceleration of the device for values, which can be dangerous for the hard disks, and move the hard disk heads into a parked position, if necessary. According to Michael update KB4048955 for Windows 10 Version 1709 is causing trouble with HP’s 3D Guard. This is a frequently issue – see Fix for HP’s 3D Drive Guard-Bug after Microsoft Patchday, Till yet, no fix is available. An exception of type System.InvalidOperationException occured. It broke every visual in the desktop file. Interestingly enough, when I published the file with the broken visuals to the service it worked perfectly in the service. I then saved the broken file and reopened it and my visuals started working again. And here is a comment, reporting, that November patchday is causing trouble on Windows Server 2016, which drops an update error 0x800705b4. And bunch of other Microsoft Office update. But I think one of these update is the main culprit of my problem. Today, my dot matrix printer Epson LX-310 can’t print any work document. Switching to other non dot-matrix printer will print without any problem. Tried with POS printer and inkjet printer. I tried with my other work computer which got updated too, and this problem persists. First I think my LX-310 is faulty, but after testing with my Epson LX-300, same problem happened. When I tried with a laptop runs Win10 that didn’t upgraded yet, it prints without any problem. The document will sit in queue, and then dissappear, indicating that it has finished printing. But printer doesn’t move. Connection using USB. My PC didn’t have print port. The initial post deals with Windows 10, but also other Windows versions are affected. Within the thread linked above, other user reported, that they are affected with more than 40 systems and are unable to print invoices. One user blame update KB4048953 for this issue, after uninstalling, the printer works again. Within this post somebody wrote, that Microsoft released another update for Windows 10 that fixes this issue – but I can’t test it. Addendum: Microsoft released some updates that fixes the issue – see articles linked below. 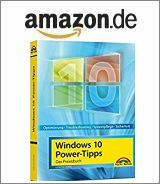 This entry was posted in issue, Update, Windows and tagged issues, KB4048955, Update KB890830, Windows. Bookmark the permalink. Got the same result on my PC as per above screenshots. Interestingly, I clicked the link, downloaded the latest instance off MS website and ran the scan (to be on the safe side, obviously). During scan MRT reported ~30 infected files! But then after long hesitation after scan was complete, it reported that nothing malicious was found. MSRT November 2017 on Win7x64: as it scans, it detects infected files, but at the conclusion of the scan it says that no malicious software was detected. Also found that Epson LQ-590 printer quit working after Microsoft updates circa 11/15/2017. Is connected to port USB0001, other printer (HP LJ 4350) connected to another USB port works fine. Did a system restore to a date prior to update and can now print. Changed update settings to download but ask before updating but it still updated and knocked out the printer again. A System Restore to a prior date corrected again. The problem update appears to be a USB driver update. Has anybody started a class action lawsuit against MS because of these debacles? I would like to join one if they have. In the last 2 years, I have lost several business days (and several customers) because of my expensive computer equipment not being usable – due to both Windows 10 policy and failures due to bugs. I also lost a very expensive custom built program, when Microsoft decided that it didn’t like the look of it. Meantime they keep pushing out ‘new’ features (that hardly anybody has expressed an interest or need in) without bothering to fix some of the most critical issues. They talk about Win 10 being the most modern, secure operating system, but some of its kernel was written in 2006… and regards security, I am now a lot more scared of what Microsoft will screw up on my machine than I ever have been about hackers. It’s getting to the stage where I’d rather go back and run an (allegedly) insecure OS than put myself through more of the frustration of dealing with a ‘modern’ and ‘secure’ OS. Microsoft have screwed up about 30 business days of mine in the last 2 years. Hackers have screwed up 0 business days of mine in the last 2 years. Who should I be more afraid of? Anyway, I’m ranting…sorry… I completely agree with you…and want to be part of any legal undertaking against this arrogant company and its shabby products and abhorrent practices. FYI, This issue is also knocking out the LPT port printers. My client uses Epson FX890 and since the updates have not been able to print invoices. A massive problem. After selling them a new printer, I now have huge egg on my face, and my client no longer trusts me. Thanks Microsoft!!! The upddate process hangs up. I have two computers that have been showing the activity whirligig for 7 hours with no change. can I turn the things off and start again? Just try it and use system restore in case it ends with trouble. I have filled in the required fields. What is the problem? I guess you are wondering why your comment hasn’t been shown immediately? This is, because I deciced to moderate new posts – otherwise the blog would be flooded with comment spam. experienced also after installing November roll up; all my PC using dot matrix printers wont print; printing on laserjet is ok.
Thx for your comment. Microsoft has released a fix for Windows 7 SP1, see link list at the end of the blog post. One of these November updates also breaks indexing in outlook when using G Suite. Not sure which one specifically. Only fix I found was a system restore before these updates. Using Windows 7 64 bit and Outlook 2010 32 bit. I experience a similar behavior on a virtual machine with a test install of a plain Windows 10 V1709. After rebooting during installing the latest January 2018 cumulative updates, no more mouse clicks are detected. Tried to reboot the machine without success fixing this issue. So I switched off the VM twice, to force a Windows PE boot. Then I got a blue sceen with stop code 0xc0000017 (see my article here). It’s a mess.